Abandoned Forum • View topic - what is the strangest real animal of which you know? what is the strangest real animal of which you know? For me, it would either be a hagfish or a starry-nosed mole. What about all the different creatures that inhabit the coral reefs?? Sealife is amazing. 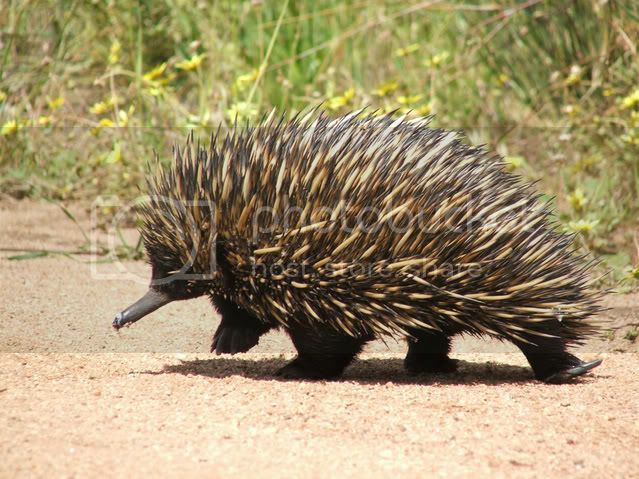 My favourite is the echidna and I've actually seen these in the wild four times. 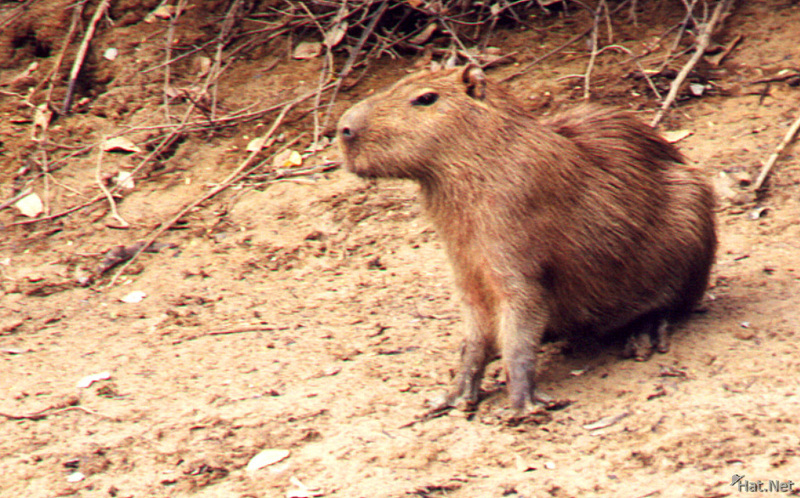 I'm looking at your new avatar......... and I'm wondering if that is a capibara hiding under your hat??? Now you mention it, they do look quite similar, don't they? I thought my avatar supposed to be a hamster (for the new hamster inkwell site), but I guess they must share the same ancestors. This time it appears to be a rabbit sporting a pikelet as a beret. Edible hats can provide important fibre and nutrition to one's diet. The platypus is very strange of course. Its a mammal that lays eggs. What makes it a mammal then and not a reptile, could it also be a reptile thats warm blooded and has fur? A platypus is a very strange animal, and when first introduced in England it was considered to be a fake....... cobbled together from parts of other animals! I think the difference between mammals and reptiles has something to do with body temperature and the way that mammals are able to maintain a constant body heat despite the climatic conditions. Also, the kiwi bird is wierd... I mean, c'mon, it's essentially a hedgehog in bird from. Nocturnal, sniffs for its food, spiky fur more than feathers... All the signs are there. And kea, mountain parrots. They like dismantling cars. Very funny to watch. Not so good for the car owner.